reveal that the developer for the site, Stanton/Eastbanc (SEB), made a concerted effort to go to closing quickly, in part to avoid appearing before Muriel Bowser’s Committee on Economic Development. The records also show the difference between the city’s public presentation of its decisions and the private deliberations carried on with the developer. The documents were produced by the Deputy Mayor for Economic Development (DMPED) only after the General Counsel to the Mayor ordered the office to be more forthcoming in response to the FOIA filed by Oliver Hall, attorney for residents who are appealing the Zoning Commission’s approval of Hine project. The City Council’s latest extension of the original closing deadline would expire on July 13. As closing on that date became increasingly questionable and the city was anticipating extending the deadline again, the Hine partners began maneuvering to close by the July 13 date. Part of the “solutions” referred to by Wilmost was the proposal to split the Hine closing into two components – the land closing, and the financial closing at a later date. Although presented to the public as unremarkable, the proposal to split the Hine closing and the rush to closing in order to avoid appearing later before Bowser’s committee for a progress report, appears to have worried the Mayor’s Office. The same email discusses the city’s reservations regarding Eastbanc’s West End project, which, at the time and as discussed in the same email, was also under litigation. Yet the city did not enumerate financing as one of the concerns regarding the West End Library. As the July 13 closing date approached, SEB continued to press for early closing, warning that the Hine project could fall victim to campaign politics. However, with some of the outstanding issues still unresolved it appeared that it would be necessary to extend the closing date. In this particular exchange between Lanier and Miller, several of the emails have been blacked out by DMPED, raising the question of whether these emails meet a legal threshold for exclusion, or are merely embarrassing to parties involved. On July 9, ANC 6B voted unanimously for a one year extension of the closing deadline, citing two issues that in its view made this necessary: a surveying discrepancy and the appeal to the DC Court of Appeals of the Zoning Commission ruling filed by neighbors, which the developer and the ANC contended has delayed financing for the project. The letter stated that the city and developers were pursuing an alternate route to the settlement that will allow the development process to continue. Though lack of financing has routinely been connected to the on-going litigation by the developer and the ANC, the city did not relate the two in Miller’s email of June 17, and did not cite financing as a concern with the West End project, which was also under appeal. On July 10, the City Council extended the deadline for closing by six months. Mayor Gray had requested a one year extension, but Councilmember Bowser offered an amendment providing for six months (January 13, 2014), and the Council passed it unanimously on a voice vote, with Councilmember Barry recusing himself citing a standard excuse that he may or may not know principals involved in the project (Wilmot has been tied to Barry, and that is one possible explanation for his recusal). None of the documents obtained under the FOIA indicate what happened in the meeting requested by Lanier, or even if such a meeting occurred. But if it did, the developer must have been persuasive. The city closed on the deal and transferred the land to SEB on July 12. The article related an attempt several years ago by Shakespeare’s managing director, Chris Jennings, to cut a deal with Stanton East Banc (SEB) developers to occupy a portion of the forthcoming Hine development at Eastern Market. In the article, Jennings accused East Banc of using the relationship with the theater to help win the bid from the city, but then priced the theater out of the project. The Washington Post article was the first that many Capitol residents heard that the Shakespeare company was no longer pursuing housing for actors in the Hine project. In February of 2011, Stanton Development, East Banc’s partner in the Hine project, told the community that the Shakespeare Theater has decided to keep its administrative offices in place on Barracks Row but would house its visiting performers in the Hine development. Capitol Hill Corner asked the Shakespeare Theater when the decision had been made not to pursue actors’ housing in the project and received the following response from spokesperson Lindsay Tolar: “Currently we have no agreement for actor housing with East Banc or any other developer. We continue to explore comprehensive options for all of our support facilities including our artist housing.” The same question, when put to Stanton Development, received no response. It would appear that sometime after February of 2011 the Shakespeare housing component was quietly dropped from the project. Exactly how and when that came about is uncertain. The Washington Post article says that financing for the Shakespeare’s move into SW is uncertain, but speculates that a possible solution could be found where market rate housing in a mixed use building could subsidize the use of the space by the theater company. The article says that Jennings also plans to ask the city for assistance. Attorneys for Stanton-EastBanc have asked the DC Court of Appeals to disallow the submission the Hine development land lease as evidence which reveals that DC taxpayers will pay for almost $2 million in benefits and amenities that the Zoning Commission credited to the developer when they approved the Hine PUD process. In a October 10, 2013 letter to the court, Greenstein Delorme & Luchs, attorneys for SEB, argued that the rule allowing submission of evidence at this stage only pertains to the decision of courts and that plaintiffs had the document in question prior to the court hearing. Oliver Hall, attorney for the Hine Coalition appealing the Zoning Commission decision, responded on October 15, asserting the propriety of submitting the additional evidence, citing that it had been introduced orally at the hearing, and while it was always available to the developers, became available to petitioners only by filing a FOIA request. Concern over transparency in the development process has been voiced elsewhere. On September 24, at an economic development roundtable which included a discussion of the Hine development held by Councilmember Muriel Bowser, she pledged her assistance in making the Hine documents public. Bowser registered a note of resignation about the deal when she said, “Maybe we didn’t get a good deal (on Hine) but we can’t unwind it,” but she also noted that “stepping up the standard of proactive release of documents” would be in the public interest, and offered her assistance to Mary Fraker, who testified on behalf of the Hine coalition, to expedite that process. Last Thursday, Oliver Hall, attorney for the Hine Coalition of residents who are appealing the Zoning Commission’s approval of the Hine project, submitted two filings on behalf of his clients. The second filing is a letter to the DC Court of Appeals, submitted along with one of the documents Hall was able to obtain from DMPED – a copy of the lease agreement between DMPED and the Hine developers. 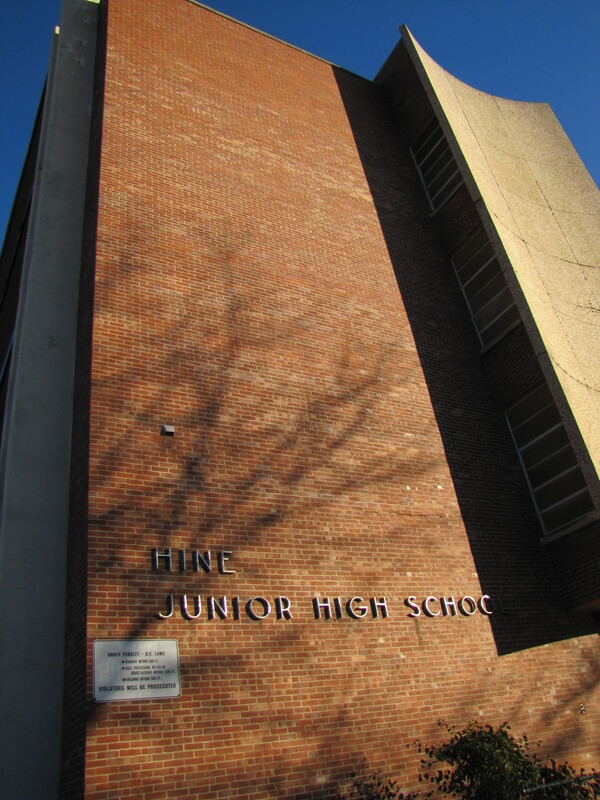 The filing states that the lease contradicts information in the Zoning Commission order approving the Hine PUD, specifically that the commission found that SEB would provide public benefits in support of the PUD application including a child care center and financial donations for a playground and the improvement of Eastern Market Metro Plaza, totaling $1,870,455. In fact, Hall says, the lease allows SEB to deduct this amount from any payments SEB makes to the city under the terms of the lease, meaning that the taxpayers end up footing the bill. Another developments regarding Hine includes ANC6B Commissioner Brian Pate’s announcement to the ANC6B Transportation Committee last week that, according to the developer, they do not expect to break ground on the Hine project before March, 2014. The estimate, Pate said, was based on an assumption of a decision rendered in their favor by the US Court of Appeals by the end of this month. Pate said he thought that timing unlikely. Pate went on to say that Stanton East Banc has shown no intention to begin environmental remediation, including asbestos removal, before the litigation is resolved, and that remediation must be completed before demolition can begin. Following is a summary of the main points in the appeal of the Zoning Commission order on the Hine Development. To see the full text of the brief, please open the “Library” page at the top of this home page, and click on the link to open up the pdf. 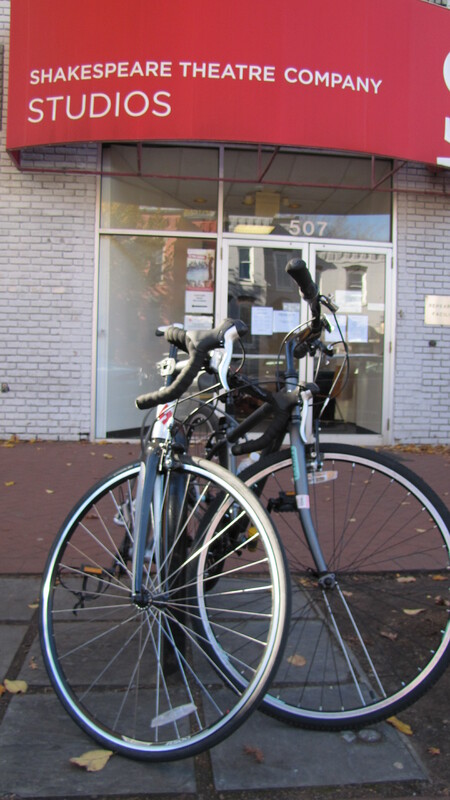 A group of nearby neighbors of the development petitioned for the appeal and were joined by a neighborhood organization – Eastern Market Metro Community Organization – as an intervener in the case. They are being represented by attorney Oliver Hall, who filed a similar appeal regarding the West End Library Development on behalf of the D.C. Library Renaissance Project (DCLRP), a library advocacy group founded by Ralph Nader. As it happens, Stanton partner Eastbanc is the developer of that project. The DC Court of Appeals has scheduled a hearing on the Hine appeal for mid-September but it could be several months before it hands down an order. The deadline for transferring the land to Stanton/Eastbanc (SEB) – originally July 13th – was extended for six months by the City Council on Tuesday, July 10, to allow time for the litigation to be resolved and to permit resolution of a technical issue involving discrepancies in the surveys which were used to determine the Hine site property lines. The Zoning Commission ignored the “obvious” incompatibility of the 94.5 foot seven story building in the community surrounding the project and sanctioned heights and densities double that of surrounding properties. SEB’s proposal to segregate the vast majority of affordable housing units in the North building which is designed with considerable fewer amenities than for those in the South Building. Expiration of the segregated affordable housing units in 40 years when they become market rate, resulting in the displacement of occupants and contravening the general policies of the city’s Inclusionary Zoning Regulations. Lack of justification for transfer of the North Parcel to the developers at far below the market value. Procedural errors involving making a decision based on an incomplete record owing to SEB’s failure to submit both the LDDA and the Covenant SEB is required to execute pursuant to the LDDA to the Zoning Commission. Procedural errors involving SEB’s failure to disclose the value of the development incentives granted to it through the LDDA thus making the Zoning Commission unable to reconcile the relative value of the amenities and benefits vs. the development incentives and any adverse effects. Failure of the Zoning Commission to make any finding of fact to support the change in zoning from R-4 to C-2-B. The Zoning Commission ignored the need for sufficient justification for the financial reasoning for segregating affordable units, relying only on two informal emails from the Applicant’s banking partners to rule out creating a truly inclusive mixed-income PUD project with permanent affordability as expected by Inclusionary Zoning Regulations. The Zoning Commission’s conclusion about the “29%” of the proffered affordable units being in excess of what is required does not take into account the disappearing affordability for the vast majority of the to-be-constructed affordable units. And because this disappearing affordability largely affects the lower income residents and seniors, this proffered benefit is greatly diminished. The City Council passed emergency on Wednesday night granting Stanton/Eastbanc six additional months to close on the Hine project. The developer was facing a July 13 closing date deadline but owing to at least two major issues, had been unable to fulfill the requirements imposed by the city prior to closing. Although approvals of the HPRB and the Zoning Commission have been achieved, the developer has not been able to obtain demolition, sheeting and shelving permits and in addition has not been able to secure financing for all development and contractual obligations. Councilmember Muriel Bowser, Chair of the Committee on Economic Development, managed the legislation, and said there had been many delays on the project, citing specifically, litigation filed by neighbors before the DC District Court of Appeals appealing the Zoning Commission’s approval of the PUD. Although the Mayor had requested a one year extension and that request had been endorsed by ANC6B, Bowser offered an amendment to provide a six month extension. Bowser said that the building on the Hine site was becoming a blight on the neighborhood and implied that the shorter time limit was aimed at encouraging all parties to come to an agreement. The Bowser amendment was accepted and the bill providing the extension passed unanimously on a voice vote, with Councilmember Barry recusing himself citing a standard excuse, that he may or may not know principals involved in the project. Hine project developer Stanton/Eastbanc has unveiled architect Amy Weinstein’s new drawings changing design elements of the Hine Redevelopment in response to concerns raised by the Historic Preservation Review Board (HPRB). The Board will hold a hearing to review the new plans – possibly in April. The project is currently working its way through the PUD process to change the zoning to accommodate the project’s greater height and density. That process will conclude with a series of hearings before DC’s Zoning Commission, likely in June. The website also list new additions to the Stanton/Eastbanc development team. In addition to previous associates Dantes Partners (counselors on affordable housing), and Esocoff Associates (architect), the site list AutoPark, Inc., the Jarvis Company (government relations, permit acquisition, and zoning counseling); and L.S. Caldwell & Associates (contracting and employment compliance). 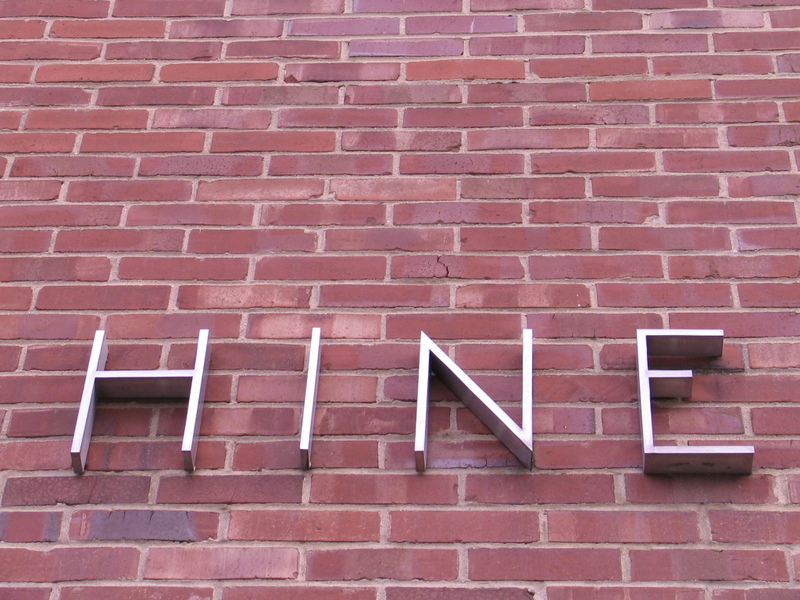 ANC 6B’s Hine Subcommittee will meeting on Thursday, March 29, at Hill Center to review its recommendations regarding design, open space, and retail plan recommendations. ANC6B’s schedule on the Hine Development is as follows. Details will be posted on this blog the week of the event. April 3 Planning and Zoning Committee considers recommendations on full amenities and benefits list, mitigation list and recommendations to HPRB. Stanton/Eastbanc may make a presentation regarding the new drawings at this meeting. Some 20 hours ago, a neighbor of the Hine project tweeted Councilmember Tommy Wells to complain that his office had passed on the critic’s home phone number to Stanton Development, apparently to allow the developer an opportunity to answer the critic’s questions regarding public space in the Hine Development. Dear Tommy, have u seen this? (photo of flyer attached) Please help rather than giving @Stanton_Dev everyone’s number who calls, like u did me.